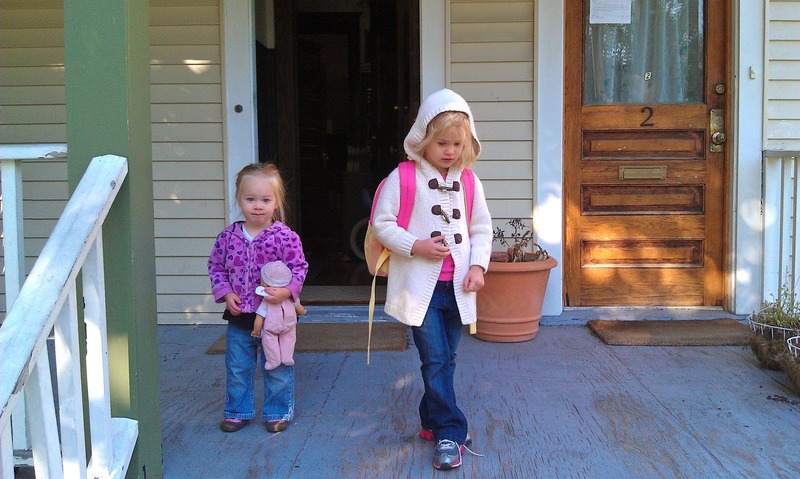 Last Thursday was officially Elizabeth's first day at preschool. 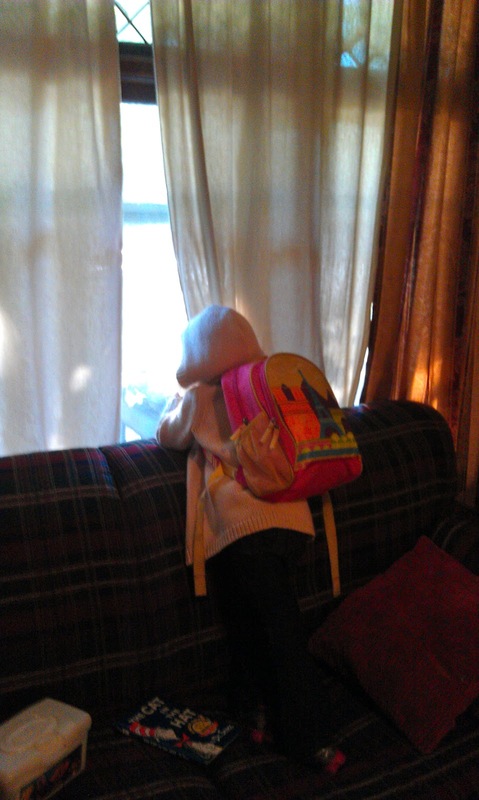 She was so excited about riding the bus. She watched for it the entire morning from the window until we decided to go on outside. When the bus arrived, she hardly looked back. 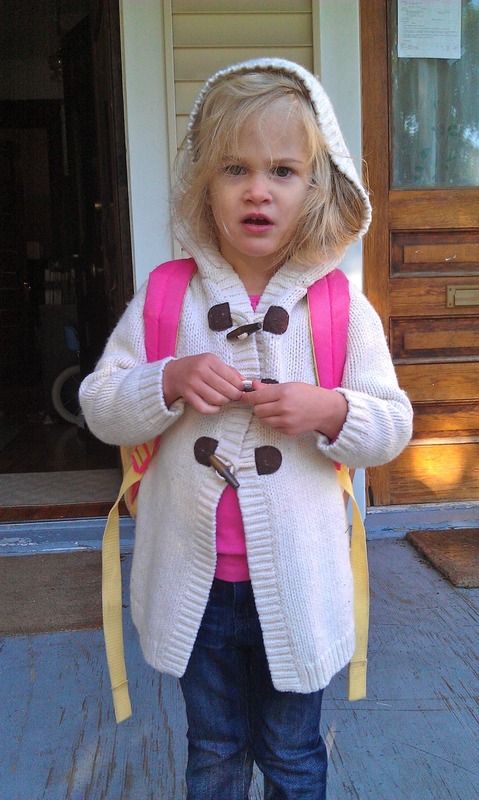 I was just thankful she got off the bus without crying when it returned. Oh, and I cried, of course. Then I spent the rest of the morning in disbelief that my little firstborn 6lb baby was old enough to be doing all this. When Friday rolled around she was as equally excited about riding the bus and going to preschool. 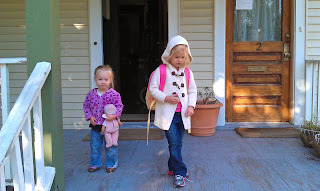 BUT...not only was Thursday her first day of preschool, it was also her first day of ballet/tap class! They had a groupon for dance classes and our best friends, the Tongs, signed up their little girl, Ju-Ju (Juliana). A great deal + a friend = a no brainer! Elizabeth is actually more excited about her dance class than preschool. In fact, as I'm writing this blog, she is practicing with the used tap shoes we got her and asking me (the tomboy as a kid) for some help with her ballet moves (youtube here I come...). I know, I know. She's a natural, isn't she?